With so many choices, choosing a digital signage media player that’s best for your organization can be quite challenging. It’s REALLY hard to choose a media player. Once you decide what you’ll be displaying, making a media player decision is actually pretty straightforward. 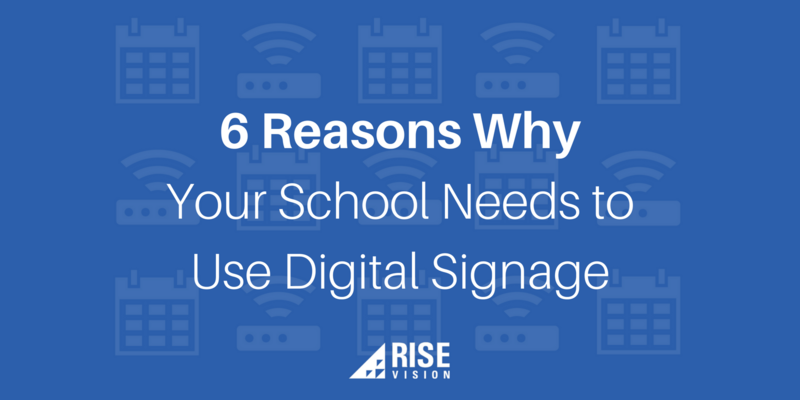 And in today’s post, I’m going to explain how you can shorten your decision making time into just a fraction of what it could’ve been by answering two questions about your digital signage plans. First, What’s a Media Player? Media players are machines built to connect your computer (or wherever you’re making content) to a TV in order to display your content. It’s the machine that makes all your awesome content appear on your display. Media players come in all shapes and sizes. But, the most important nugget to remember is that they connect your display to your content. Wait … But, Can’t I Just Plug My Computer to My TV? But, you’d be missing out on the power of digital signage. Don’t get me wrong. I love a classic cork bulletin board. But, it’s limiting. And it’s the equivalent of just plugging your laptop into your display. Digital signage allows you to speak to who you want, when you want, where you want and what/how you want. Plugging your laptop into your computer will allow you to display a single presentation. And maybe that solution works just fine for your organization. 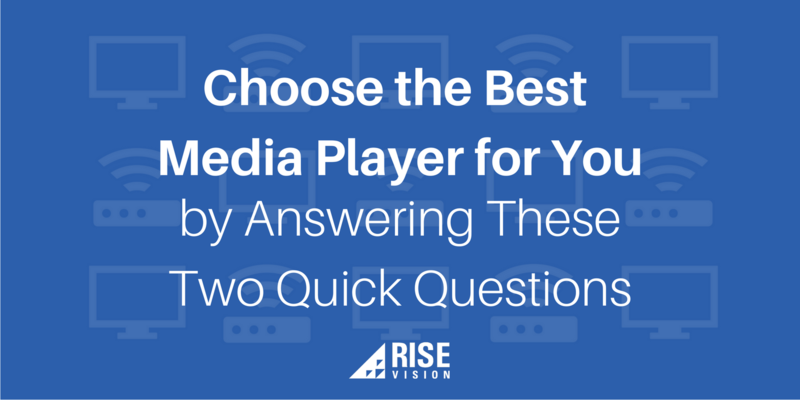 But, assuming that you’re ready to talk which media player is best for your digital signage needs, let’s figure it out together. 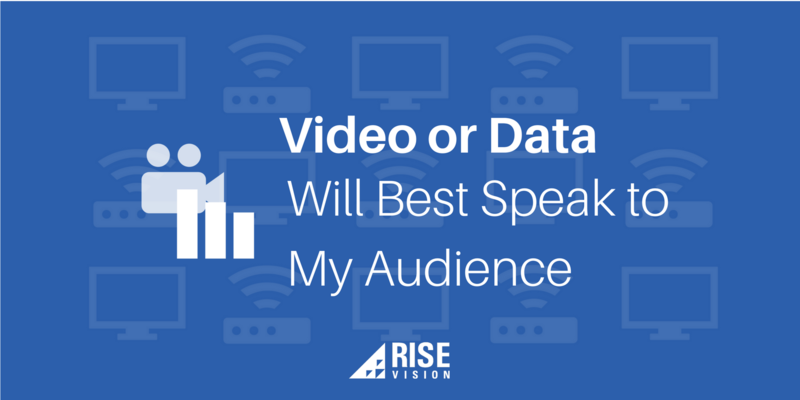 Before deciding which media player to buy, always start with figuring out what content you want your audience to see. 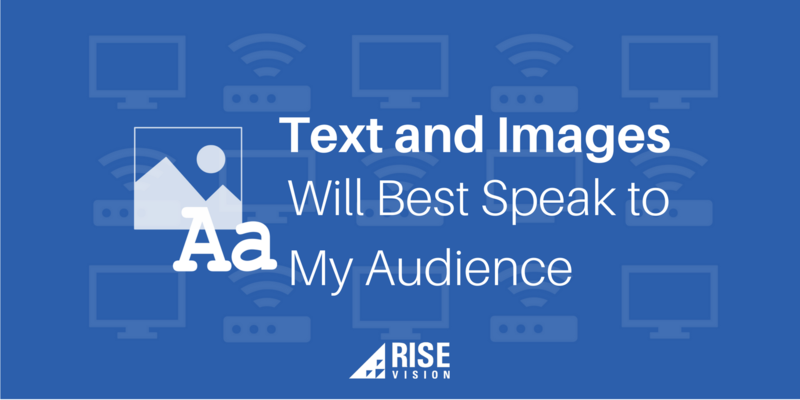 What type of message do I want my audience to see? Which operating system am I most comfortable using? If not, we’d be more than happy to walk through your objectives together, and you can schedule a call with one of our digital signage gurus. 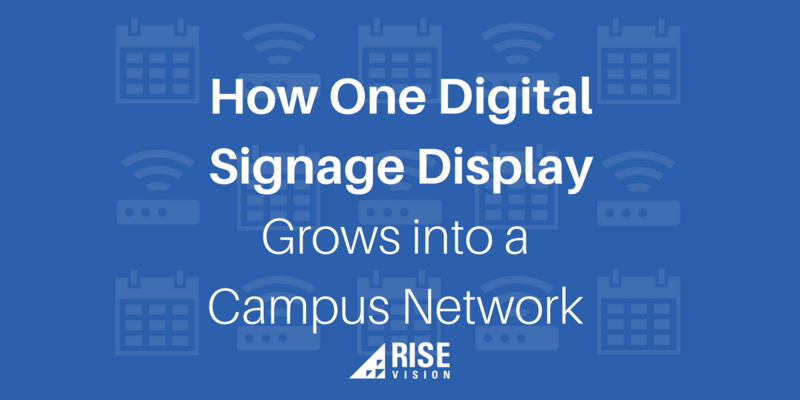 The digital signage industry is constantly changing, and new trends are emerging constantly. But, we don’t care what media player you’re using for your digital signage. In fact, many of our customers buy them elsewhere just so they can get started using our software. And that’s perfectly fine with us. 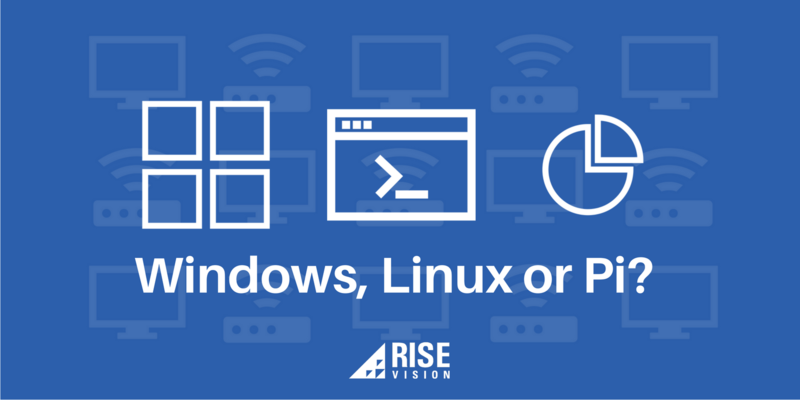 Is Windows or Linux Better for Digital Signage? Choosing between operating systems is just a matter of your preference. In our Store, we offer both Linux and Windows options. Our customers who have experience with Linux (and are masters of the command line) ease right into getting started with our Linux Ubuntu digital signage player. However, if your organization’s infrastructure is built with Windows (and you’ve never navigated a terminal), it’s probably your safest bet. Recently, we’ve heard more interest for Raspberry Pi, as well. We’ve written about the pros and cons of the hardware option. And if you're technical, we recently explained the advantages and limitations of using Pi for your digital signage needs. 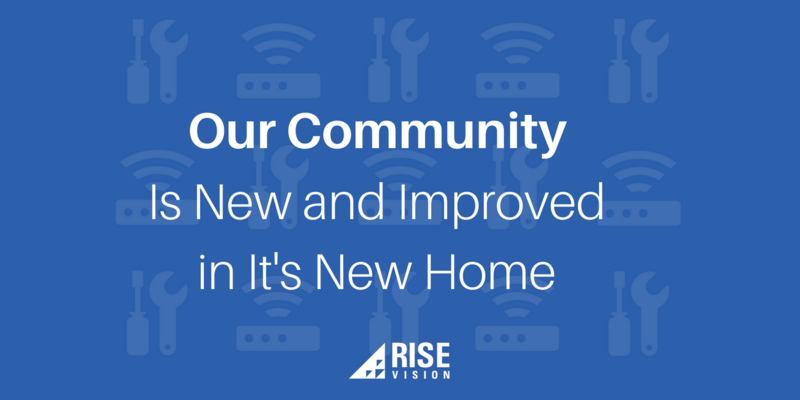 And Blake, one of our Support experts, wrote about his own experience with getting started with Pi. Blake loves Pi for digital signage. Perhaps you’re a high school teacher who wants to show her students’ soccer scores from the night before to the whole student body. Sticking with just text and images is ideal. And, in fact, in many cases, it’s what we recommend. In digital signage content design, we believe that simplicity is best. After all, you only have a few seconds to capture your audience’s attention. Text and images allow you to create simple (and beautiful) presentations that engage, inspire or motivate. For simple content, we recommend the Intel Compute Stick. We’ve sold thousands of these because of their reliability. Fairly frequently, our customers will buy dozens at a time for their respective display networks. You’re an college’s admissions office, and you just created a new video explanation of your college’s new science building that you need to show off. Video requires power that a less powerful media player might not have the capability of handling. We certainly have customers who push the limitations of their media player capabilities. But, we seem to always hear about a video freezing at the worst possible moment for our customers. And whether you’re connecting your Sheets data through our integration or have purchased our financial data subscription, a significantly more robust media player will handle your needs reliably. For video or data content, we recommend the Intel i3 NUC. You’re a university highlighting beautiful 4K videos to welcome trustees and esteemed alumni. 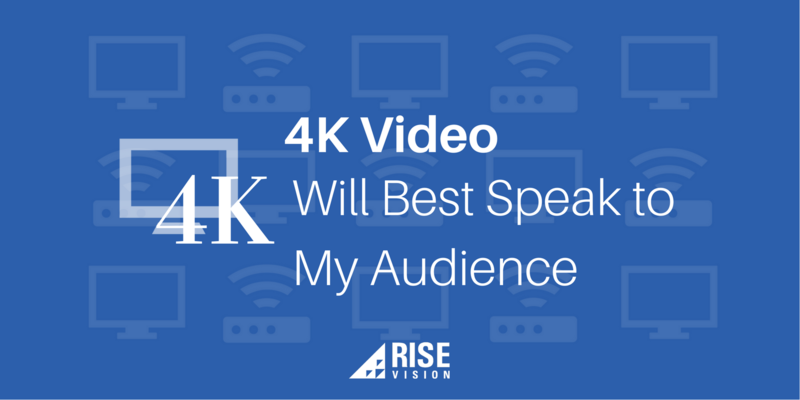 While 4K requires (not yet commonplace) expensive displays, it might be exactly what you want to show your audience. And with our unlimited storage, there’s not a need to worry about the demands of storing the videos. In the past six months, we’ve begun to see an increase in 4K chats with customers. So, it’s clear that 4K is here to stay. For video or data content, we recommend the Intel i5 NUC. You might not even have a media player yet. Many of our customers get started with creating presentations before they’re ready to spend money on hardware. But, what you’re creating will guide which media player to buy. Clicking the button below will get you started with our software for free. And soon enough, you’ll be a digital signage mastermind.